ABMAAM has now partnered with BREEJ Technologies to bring you a stronger bump killer than before. No need to suffer unless you want to! Bump Terminator really heals and conditions your skin. Bump Terminator can be used to speed up the healing of the skin. Clinical trials have shown that the ingredients found in BumpTerminator can be an effective and well-tolerated therapy which results in significantly fewer PFB (Pseudofolliculitis barbae) lesions on the face and neck. Bump Terminator improves appearance of unsightly razor bumps and reduces ingrown hairs, razor burn, and redness from shaving or waxing. 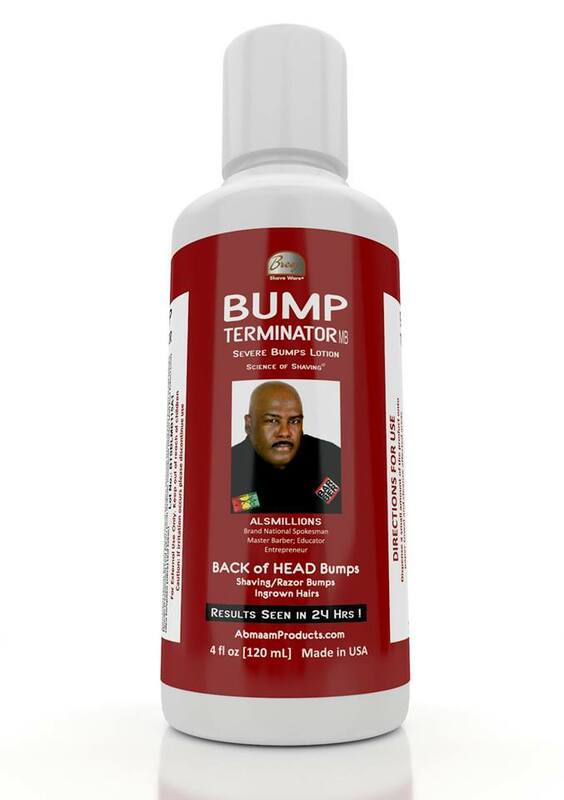 Bump Terminator will leave your skin cool and refreshed.